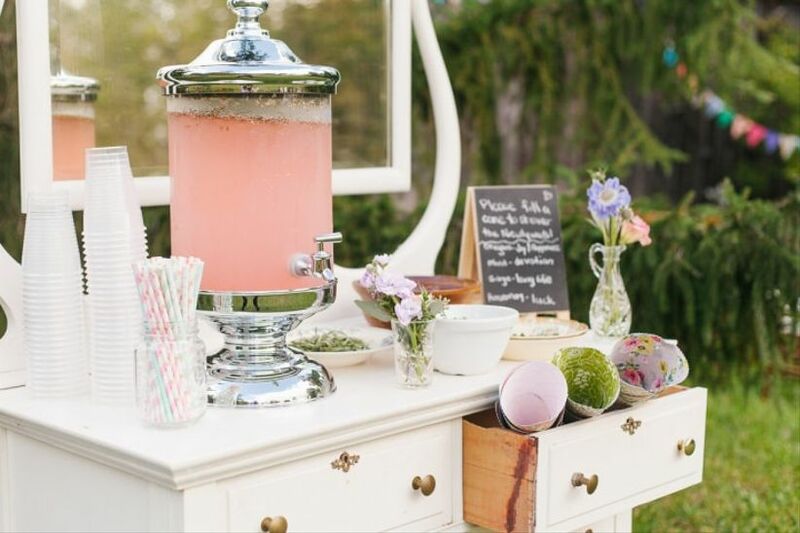 25 Awesome Wedding Ideas for Summer | Wedding Ideas ARE YOU A VENDOR? Are you looking for ways to celebrate in Canada’s hottest season? Here are some of our favourite wedding ideas for summer. 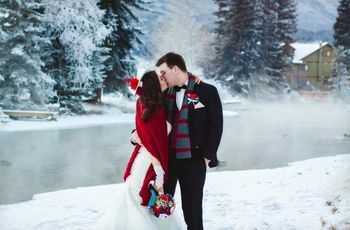 It’s not surprising that summer is the preferred season for Canadian weddings. 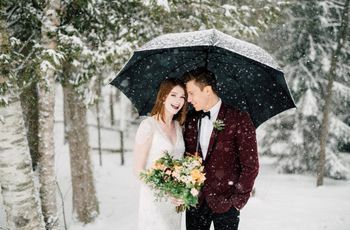 Not only do we welcome the warm weather, it gives couples plenty of venue options from country farms and summer resorts to lush wineries and hotel patios. 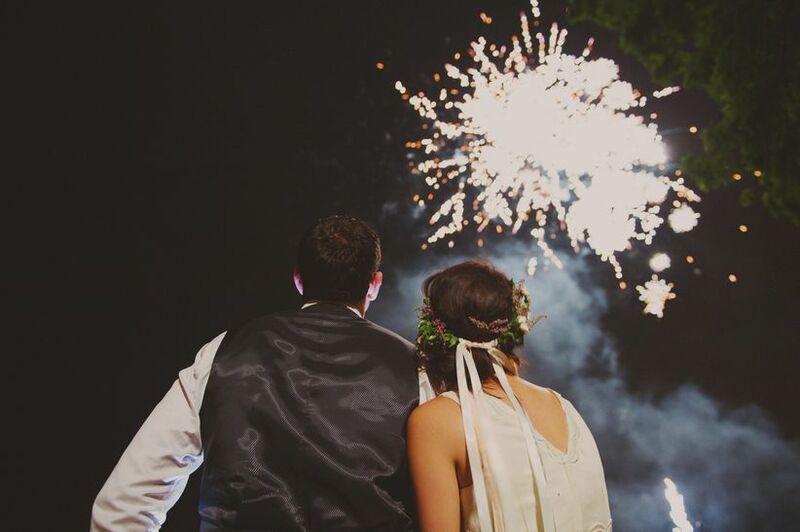 So we’ve gathered up some of our favourite wedding ideas for summer celebrations. 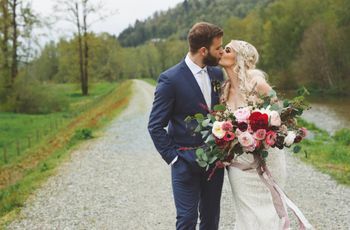 Whether you’re going for a casual rustic vibe or an elegant city wedding, you’ll want to inject your big day with that summer feeling. Here are 25 of our favourite wedding ideas for summer. Colourful shades in one of your wedding colours make for a fun favour for all ages. If you’re holding your ceremony in the great outdoors, be sure to hand them out as guests arrive. 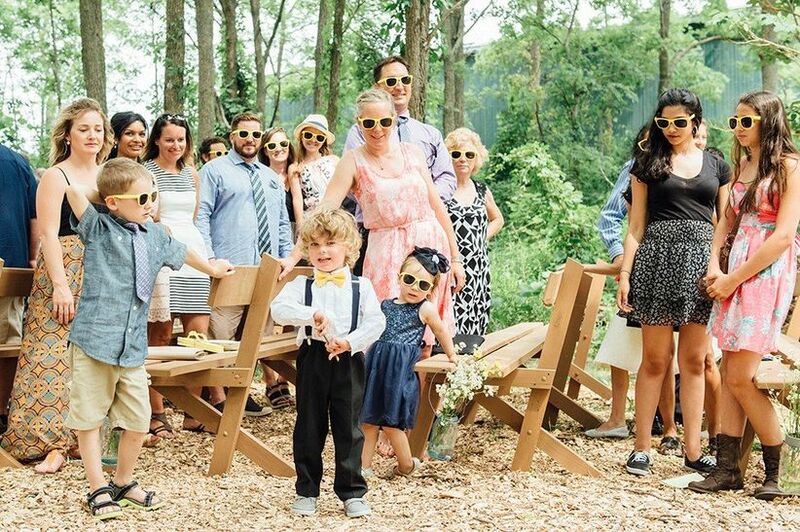 You can even have custom sunglasses printed with your wedding hashtag. Dress your squad in something cool and casual. 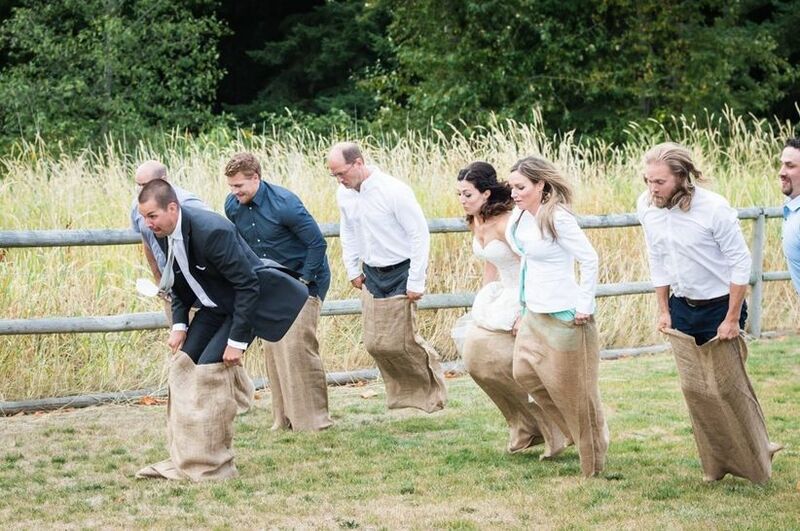 We love these stylish shorts worn by the bridesmaids at this summer camp wedding. 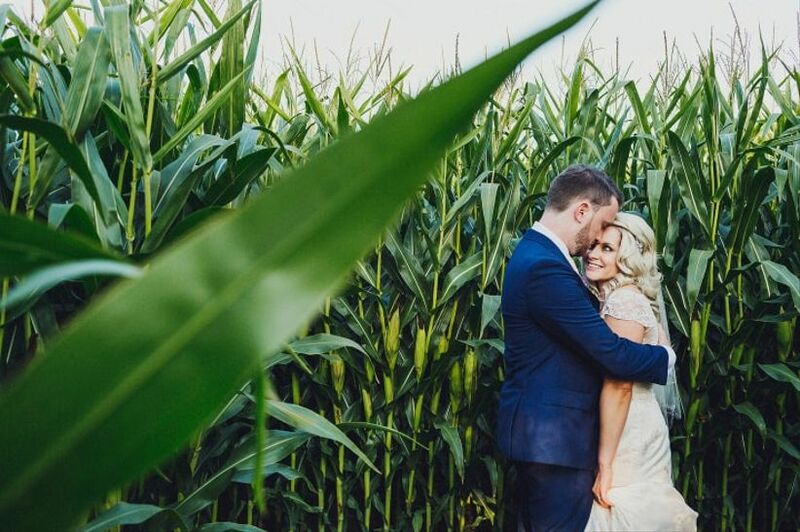 Whether you’re getting married in the countryside or the heart of downtown, say your 'I dos' outside. 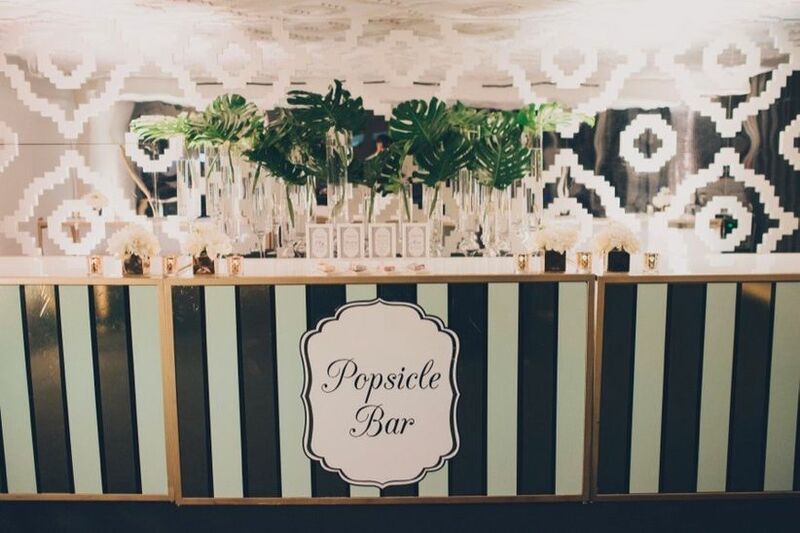 Serve up gourmet popsicles, gelato or make-your-own sundaes. 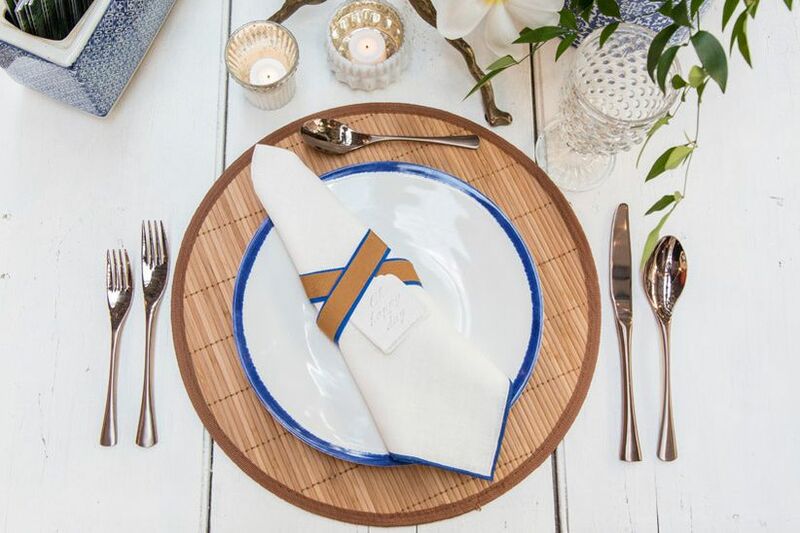 Whether you’re hosting a classy affair or casual party, dress your tables with summery tableware and accessories. Providing shade for your wedding guests is essential. 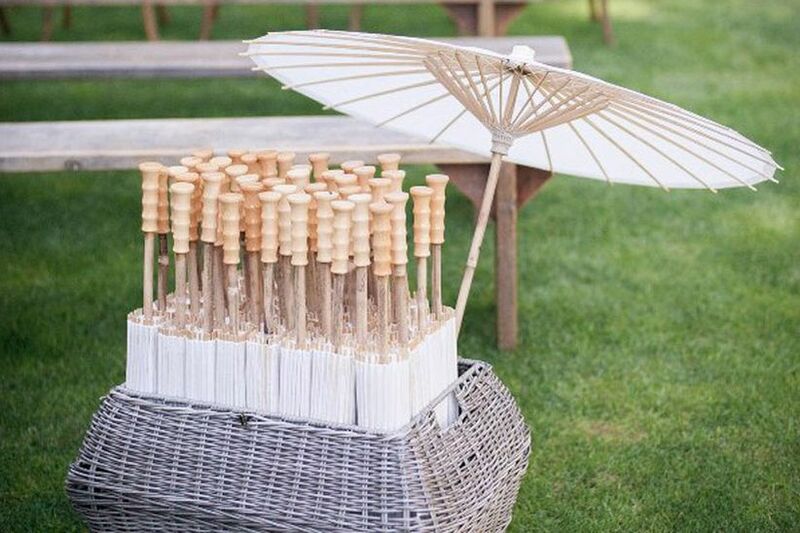 These pretty parasol rentals from Bash Panache provide a stylish solution. 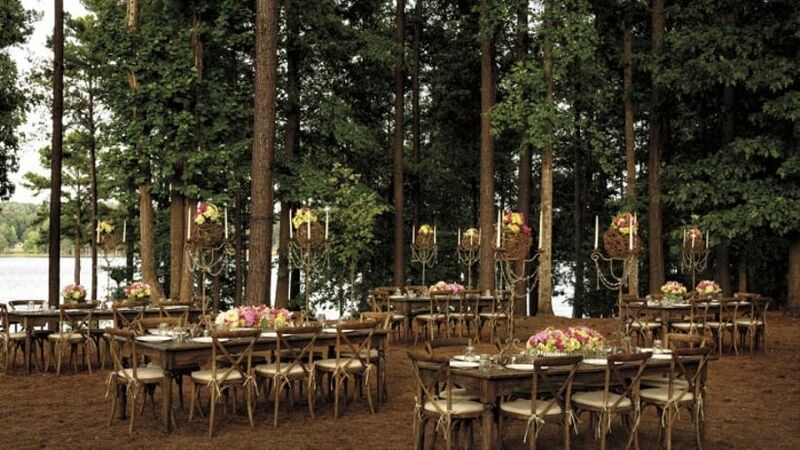 There’s something pretty darn magical about an outdoor reception set in the forest, a garden or a field. You could go all out with fancy rustic chic tables or make it a more casual affair with picnic tables. 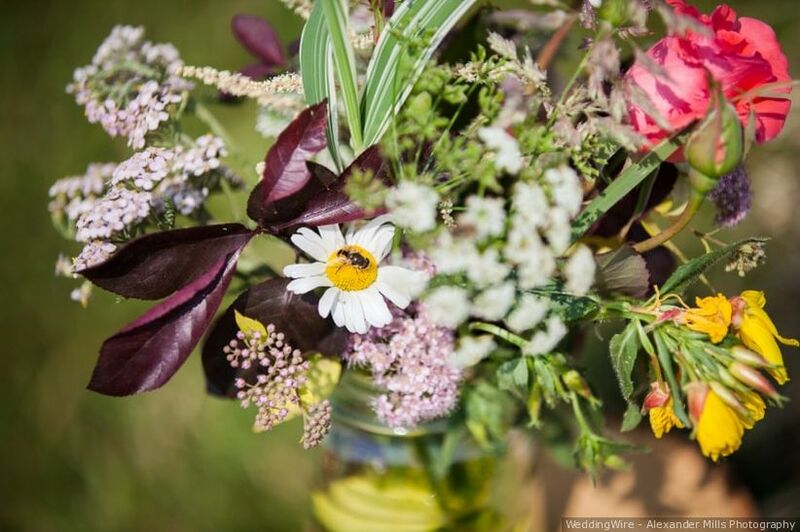 Wildflowers or bright seasonal blooms add a pop of colour to your wedding centerpieces and decor. 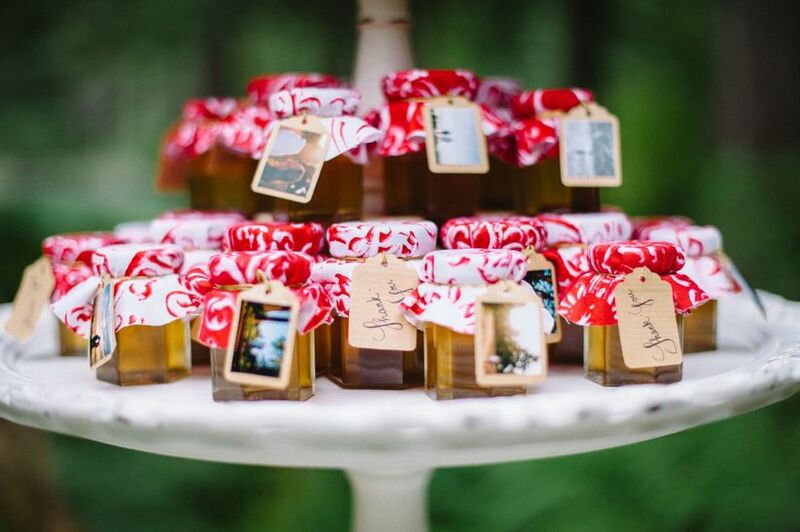 One of the most popular wedding ideas for summer is to give small jars of honey or fruit preserves as a great foodie wedding favour your guests will love. 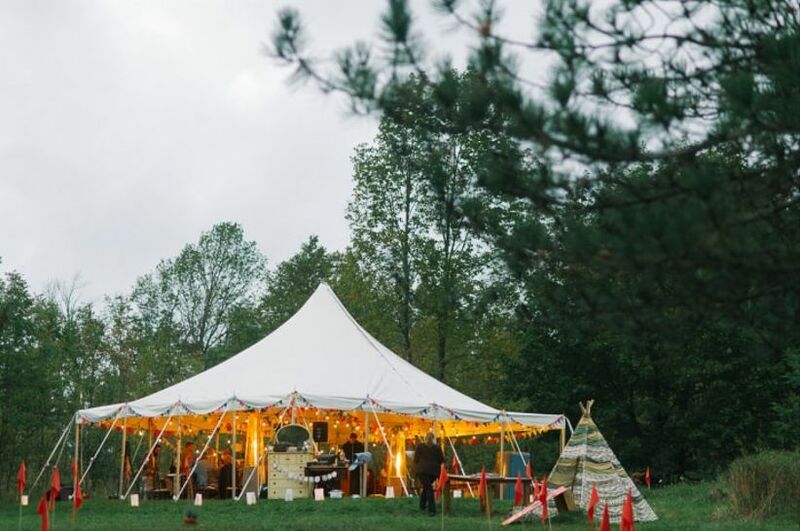 Tents and tipis come in all shapes and sizes. String it with lights and banners for a festive touch. 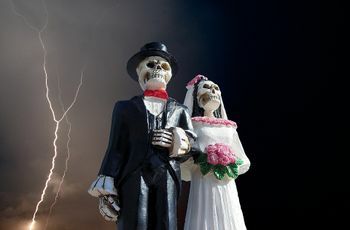 Here’s a cool wedding idea for summer. Make your signature drink a popsicle and cocktail in one. Keep guests hydrated with lemonade or cucumber-infused water! Let your guests fill a paper cone with a medely of fresh herbs, flower petals or birdseed for lovely, all-natural confetti. 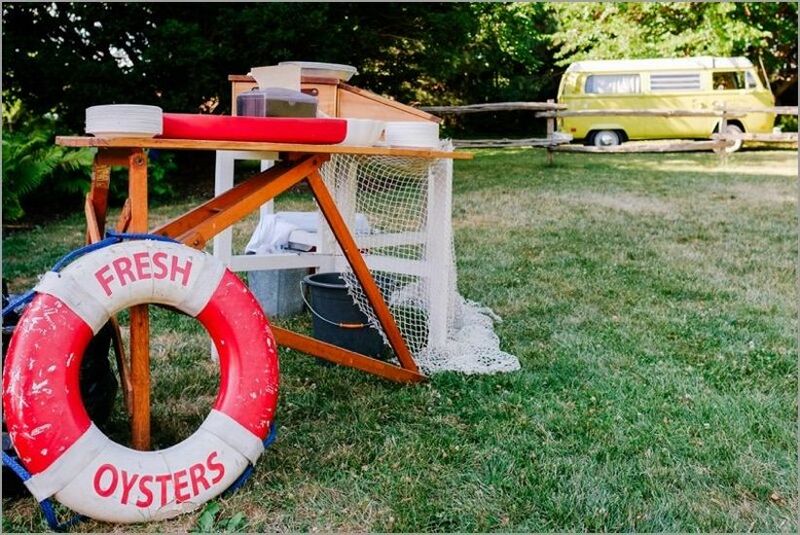 An oyster bar can be an elegant setup at a loft or hotel wedding or a more casual presentation for a backyard bash. 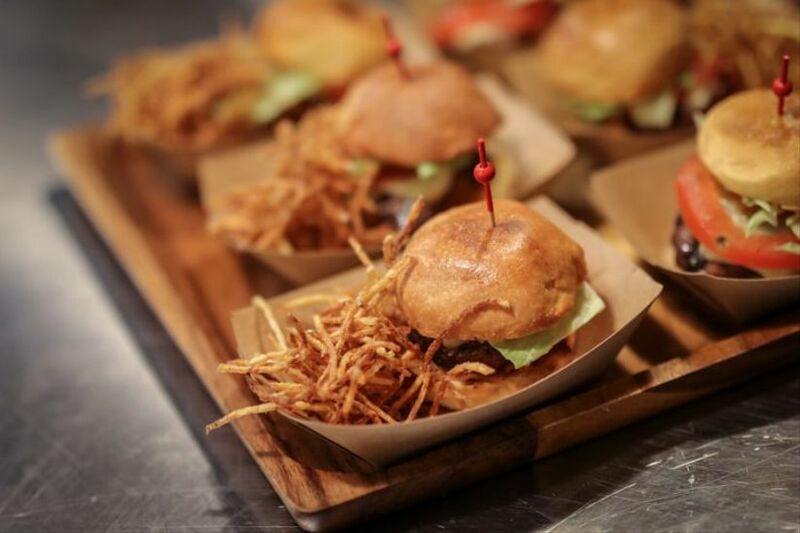 Mini burgers, pulled pork sliders or a full-on grilled dinner menu with steak, fish and corn on the cob will taste like summer. 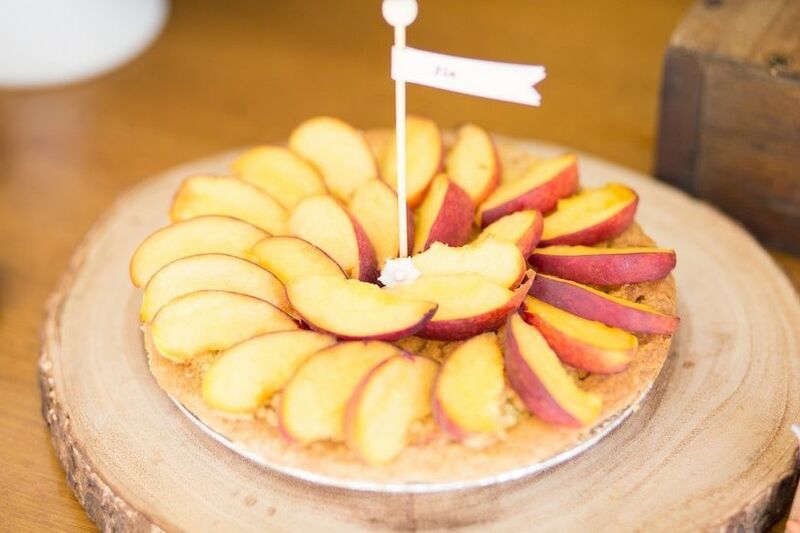 Support your local growers with pies made from fresh picked berries, rhubarb and peaches. 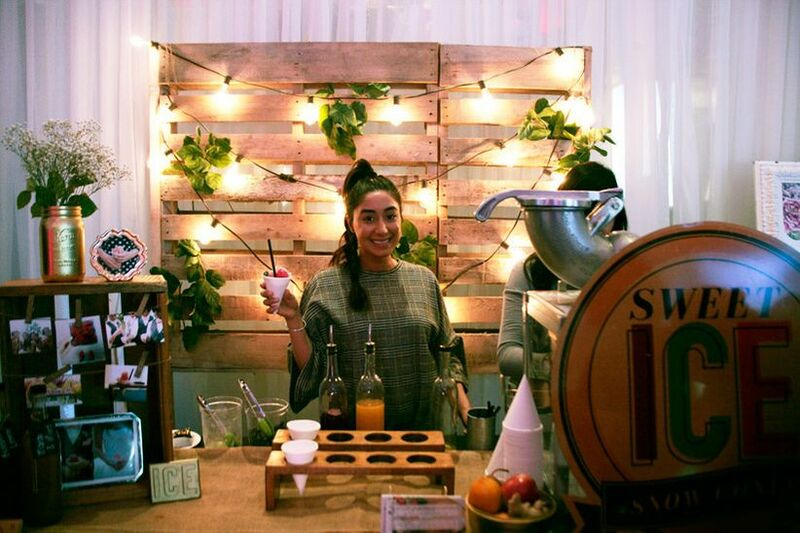 Serve up a refreshing treat – snow cones drizzled with artisan syrups like Strawberry Basil and Lemon Lavender. 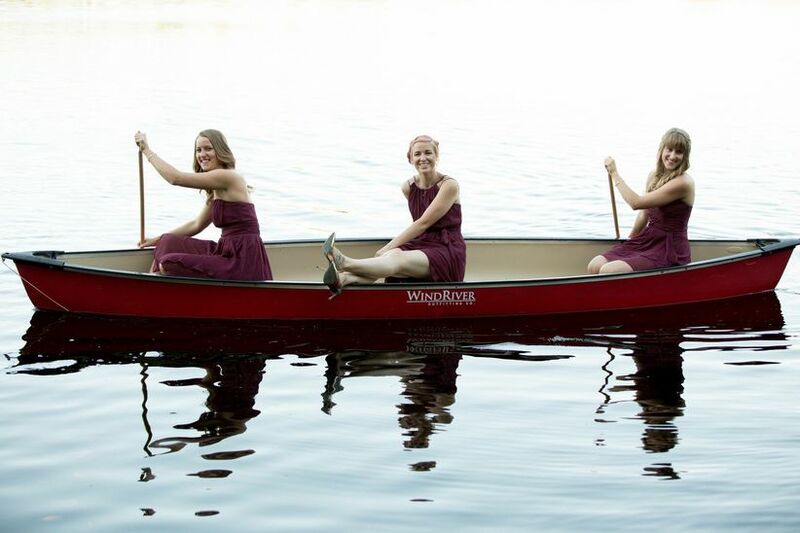 Canoes, ferries, sailboats - get out on the water on your wedding day. 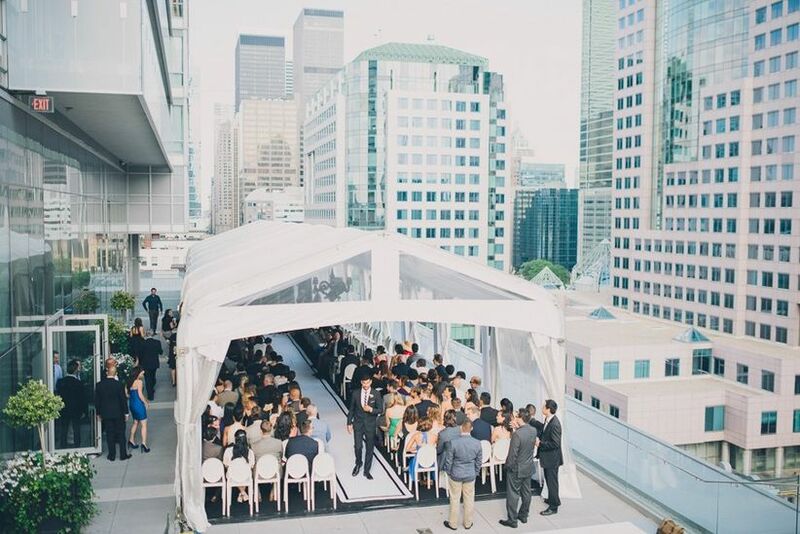 One of our favourite wedding ideas for summer is to invite guests to pitch a tent. 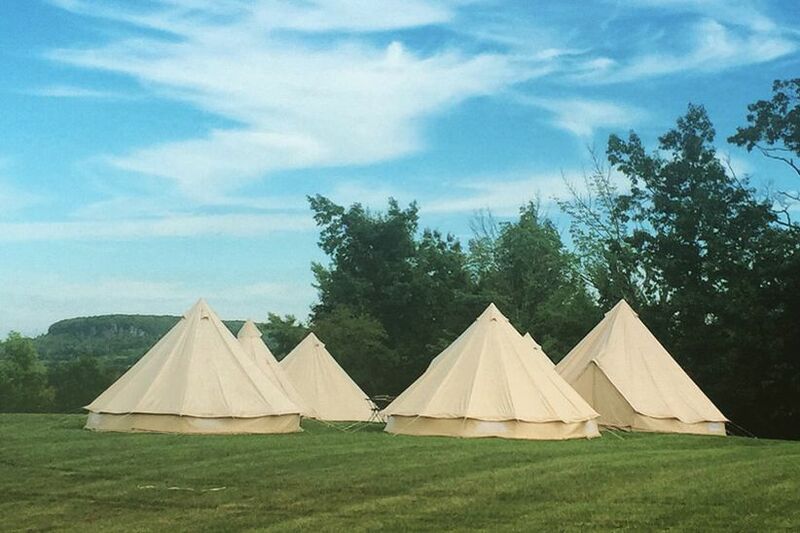 Or, have a rental company like Moonlight Glamping set up luxury tent accommodations for you and your guests. 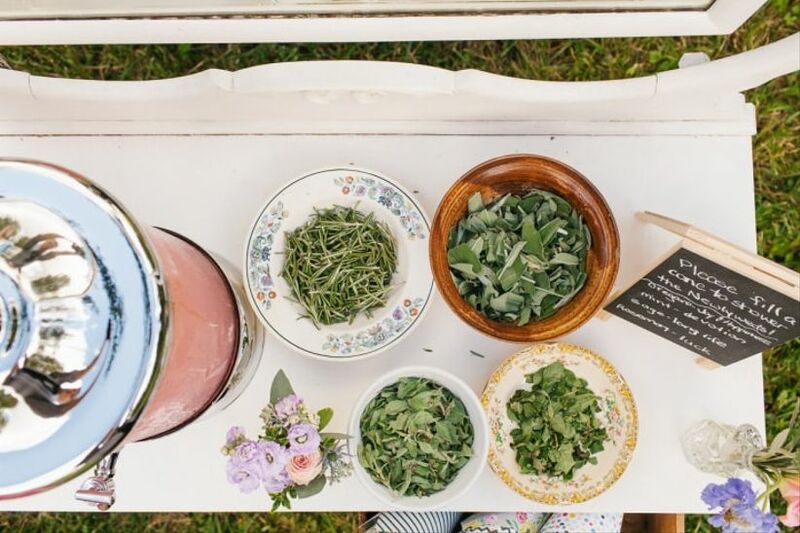 Get guests mixing and mingling with croquet at a garden party, potato sack races at a farm wedding or giant Jenga on the lawn during cocktail hour. 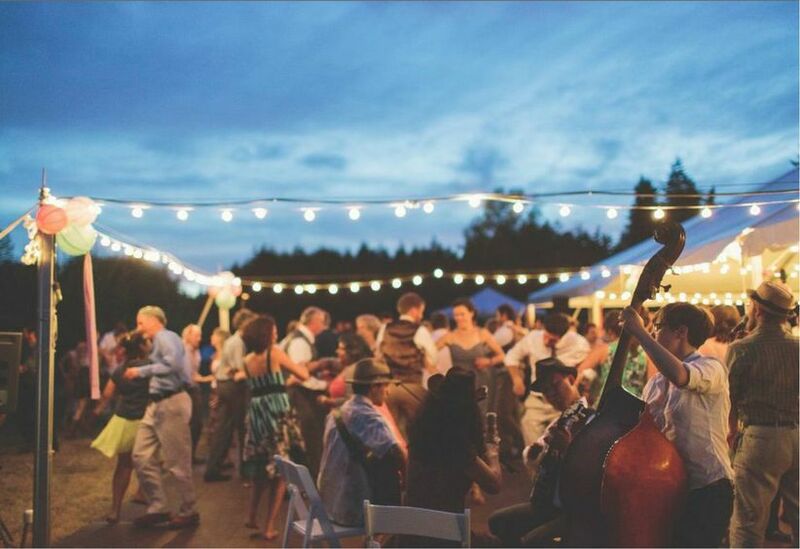 String fairy lights to designate a spot for an outdoor dance floor and dance under the stars all night long. 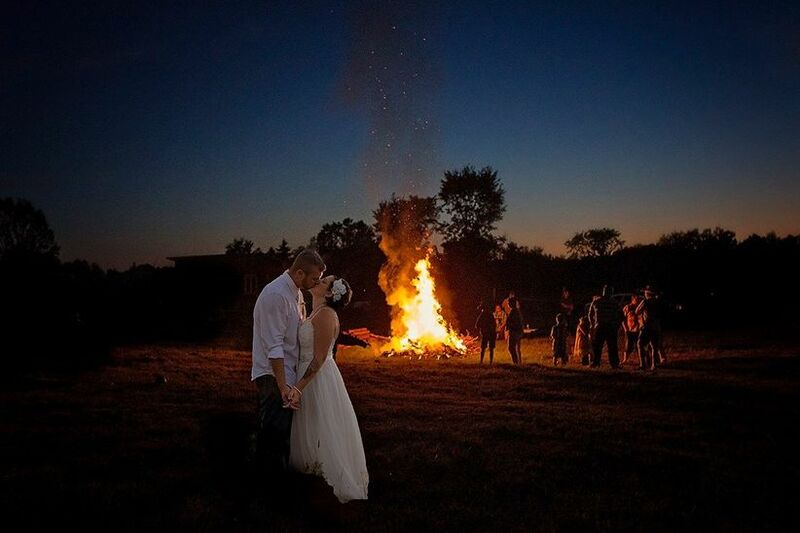 A campfire creates a gathering spot for guests to share stories about you and maybe even inspire a singalong. 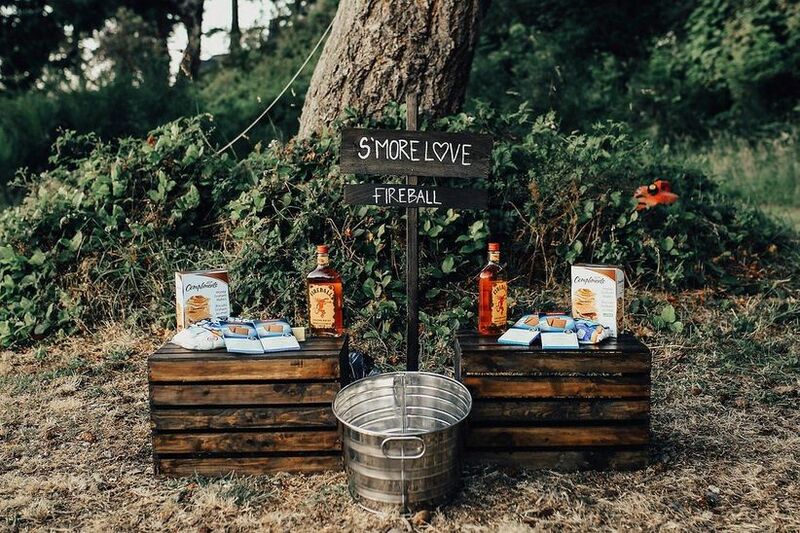 Speaking of campfires, another great wedding idea for summer is setting up a s’mores station for guests to indulge in a sweet DIY treat. 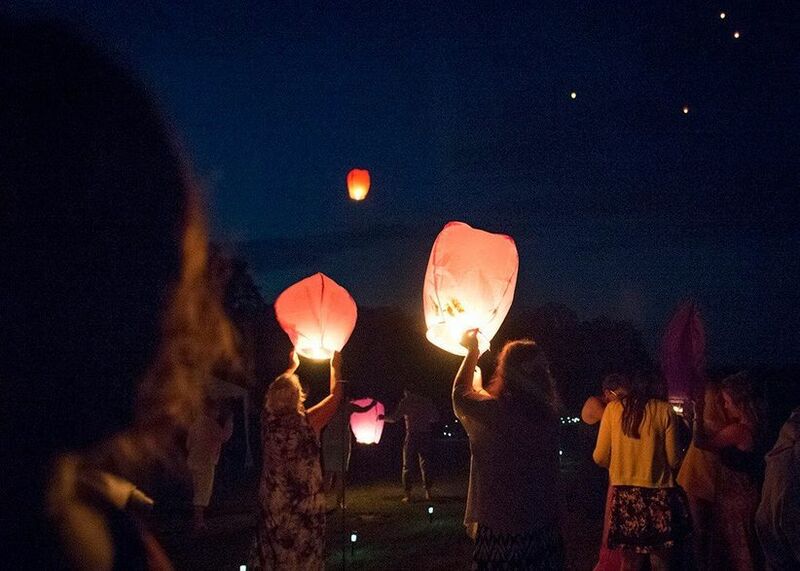 Have you and your wedding guests make a wish as you release a Chinese paper lantern into the night sky. Looking to make a really big bang? A fireworks display will definitely do the trick.